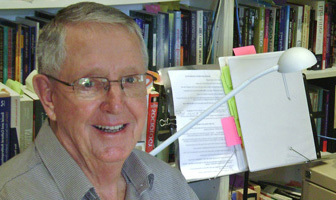 The Colin web site (www.jeanclaudecolin.org) is administered from Australia. Click here for the latest news and photo of the week. 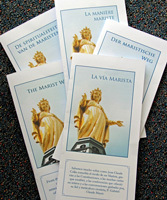 'The range of 'Marist Way' leaflets is amongst the most popular downloads from the Colin web site. 'Five novices from the International English Speaking Novitiate took vows on Jan 25 in St. Nicholas Chapel, Dumalag, Davao City. 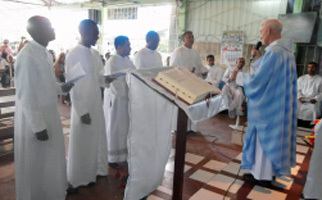 'The Eucharistic Celebration was presided by Fr Pat Devlin, SM, superior of the Marist Mission District of Asia and concelebrated by other Marist priests. 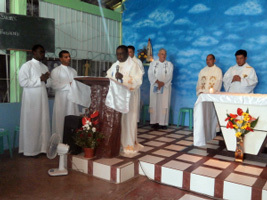 The vows of the novices were accepted by Fr Didier Hadonou, SM, the district superior of Africa. 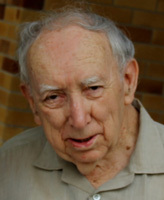 Gympie-born Marist, Fr Kevin Kerley, 85, has been awarded the OAM (medal in the general division of the Order of Australia) for 'service to the international community through humanitarian roles in Papua-New Guinea'. 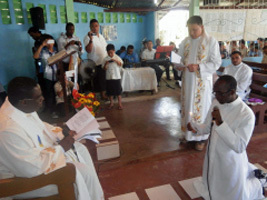 After Marist profession, Fr Kevin (then a Brother SM) worked in Bougainville from 1954 to 1972, before returning to Australia for priestly studies. Ordained in 1980, he returned to Bougainville where he worked until 2001 including through the tumultuous period of the Bougainville crisis. 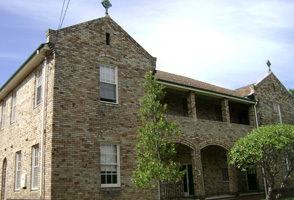 At Villa Maria, Hunters Hill, NSW, Fr Kevin continues his work of assembling memoirs of the crisis years. He is a keen commmentator on Australian affairs. Congratulations, Fr Kevin OAM! 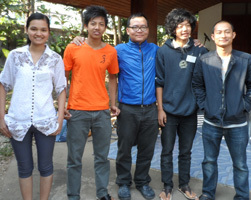 From left: Former Bridge Program participants now at ACU, Muriel, Seng Naw Mai, George, James and Sai / with ACU's Maya Cranitch. 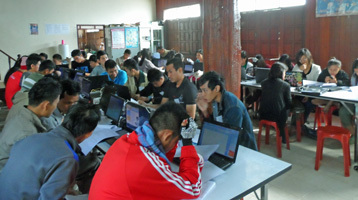 Five young Burmese refugees have begun orientation and first week of studies at Australian Catholic University's online program in Maesot, Thailand. In 2013 they successfully participated in the second year of the Marist-sponsored 'Bridge Program', linking their refugee camp high school education with the application process for ACU. In November last year, six of the pioneer group of BPers graduated from ACU with diplomas of liberal arts. From left: Frs John Hannan (superior-general), Larry Duffy (vicar-general), Kevin Duffy, Lote Raiwalu (assistants-general), Paul Cooney (bursar-general), Alejandro Munoz(assistant-general), Tony Corcoran (secretary-general) and Michael Mullins (facilitator). Meeting at the General House in Rome they are being assisted by Australian facilitator, Fr Michael Mullins SM. Mary Connor, long-time friend and carer of the late Fr Wally Fingleton SM, has written a biography of the Marist missionary who died in 2012 aged 97. The book recounts the youthful journalist's sudden impulse to follow in the steps of Fr Emmet McHardy to work in the Pacific as a Marist missionary priest. Mary J Connor, PO Box 344, Townsville Qld 4810. 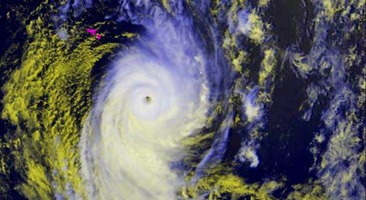 Cyclone Ian which struck Tongan islands and villages on Jan 11 with winds of up to 300 kph, the strongest in recent history. 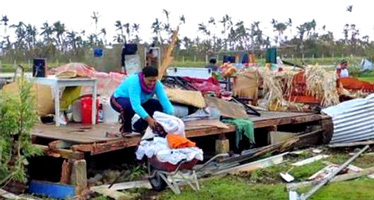 Responding to requests from Marists in Tonga in the wake of Cyclone Ian, the Marist Mission Centre has sent early funds towards initial relief operations. Local Marists Frs 'Aisake Vaisima and Seluini 'Akauola are involved with coordination of relief operations as well as trauma counselling. Click here to donate through MMC. 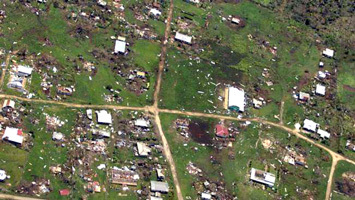 Pictured below are scenes of the devastation in the parish of Ha'apai / the Catholic Square at Pangai. Author, anthropolgist and healthcare specialist, Fr Gerry Arbuckle SM, has returned to Sydney after presenting the keynote address for the USA Catholic Health Association's forum in San Antonio, Texas, Jan 14-16. The invitational forum for mission leaders at the system level allowed participants to network with each other, sharing successful practices and other learnings and addressing current challenges in mission for the Catholic health care ministry. The gathering - 'System Mission Leadership Forum' - follows CHA's 2013 survey into the changing role of mission leaders and its recommendations for skill development in leading cultural change in the wake of the rapidly increasing merging and parterning of healthcare systems. In his presentation, 'The Role of mission and culture in the midst of change', Fr Gerry emphasised 'the importance of returning to the primary founding story of healthcare, namely the life and pedagogical methods of Jesus Christ. Welcome home, Fr Gerry (after your 17-hour direct flight)! Fr Tony Kennedy leaving on Jan 15 / farewelled from Villa Maria by Marist confrères, Br Charlie Randle, Frs Tom Fulcher and Gavin Foster. As part of the program of Marist-Asia Pacific collaboration Fr Tony Kennedy SM has joined the Marist College formation community in Suva, Fiji. As vice-rector Fr Tony will share in the formation and administrative responsibilities of guiding twenty-five young Marists towards the priesthood in the Province of Oceania. 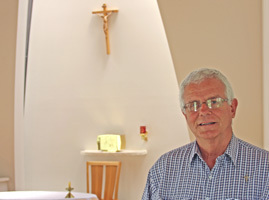 Fr Tony was for three years on the staff of the Marist formation house in Auckland, NZ, and was in charge during 2009. He brings a wide range of pastoral, communication and leadership skills to his new role. Marists in the Asia-Pacific region and beyond mourn the death of former editor of NZ's Marist Messenger, Fr Brian O'Connell SM, aged 69. 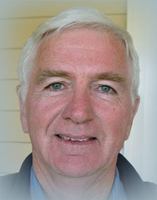 Ordained in Christchurch in 1970 and after a secondary teaching spanning twenty years Fr Brian moved to parish, retreat, industrial chaplaincy and aged care ministry before being appointed as Messenger editor in 2005. 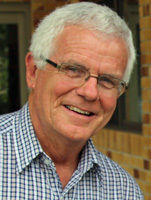 Under his influence the Messenger won multiple awards at the Australasian Catholic Press Association's annual conferences, including his own writing of 'insightful, compassionate and sensitive' editorials. May he rest in peace. 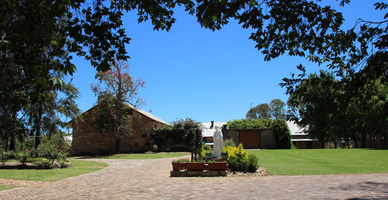 Fr Paul Mahony has taken the reins from Fr Garry Reynolds as leader of the Marist retirement community of 'Maryvale/Montbel' at Hunters Hill, NSW. Bringing a wide range of pastoral experience to his new role, Fr Paul has worked extensively in parish, hospital and prison ministry including 18 years as a missionary in Brazil and recently pastor of the Marist parish of Gladstone, Qld. Welcome, Fr Paul! Fr Garry will take a well-earned break before joining the community of St Patrick's, Church Hill, later in the year. 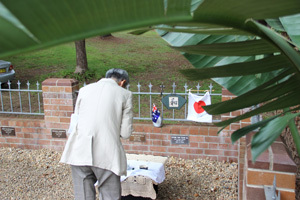 Above: Buddhist priest, V Rev Tsujimura, prays before the grave of Fr Tony Glynn and his brother, Fr John Glynn, in the mission cemetery at Villa Maria, Hunters Hill. 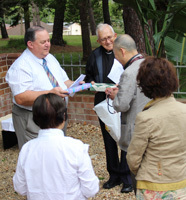 Below: Marist Provincial, Fr Bob Barber, offers gifts to the guests from Nara, Japan, during the ceremony of prayer and appreciation. 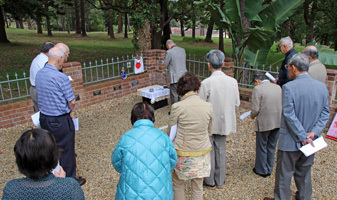 In a simple ceremony on Jan 07 at Villa Maria cemetery, Hunters Hill NSW, tributes were paid to the late Fr Tony Glynn SM and to those who have supported the work of Marist missionaries in Japan. 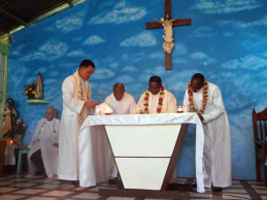 A delegation of eight Japanese from Nara City were greeted by Marist provincial, Fr Bob Barber, and Fr Paul Glynn, in a ceremony which included prayers at Fr Tony Glynn's grave by Buddhist priest, V Rev Tsujimura Taihan, and singing of the Lourdes hymn by opera singer and composer, Arai Atsuko Sensei. Three of the group are from the Catholic community of Tomigaoka, Nara, Fr Tony Glynn's former parish. Fr Bob spoke in appreciation of the supporters of the Marists at Nara over the years and presented gifts of Australian aboriginal artistry to Rev Tsujimura and Atsuko Sensei. Following their recent wedding in Melbourne former Bridge Program member, Saw Timothy Pah Ku Lar, with his wife, Naw Su Su, visited Sydney and the Hunters Hill base of the BP online training program. 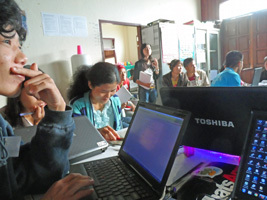 As a young Burmese Karen refugee in 2000, Timothy first met Australian Marists through their ministry and support of 'MMC Hostel' in remote Maera Moo refugee camp on the Thai-Burma border. After Marist support in secondary and post-school education, Timothy gained further skills through the online Bridge Program supported by Australian Marist lay friends and arrived in Melbourne on Oct 29 to prepare for his wedding and a new life. 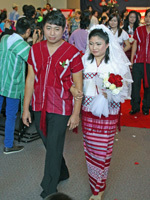 Above: Timothy and Su Su at their wedding on Dec 07 / pausing by the Marist Mission Centre during their Sydney visit. 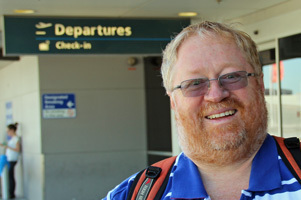 Newly-appointed editor of New Zealand's 'Marist Messenger', Fr Bernard Carney SM, has visited Australia en route to Wellington and his new ministry. Fr Bernard recently completed a three-month renewal program at 'Hawkestone Hall', U.K., returning to his native NZ via the Philippines and AustralIa and staying at 'Oceania House', Hunters Hill, with Kiwi confrere, Fr Brian Wilson. 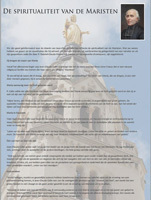 The 'Messenger', NZ's national Catholic monthly magazine, has been in the capable hands of Fr Brian O'Connell in recent years, and since Fr Brian's retirement through ill health, Fr Kevin Head. We wish Fr Bernard every blessing in his work with the 'Messenger'. 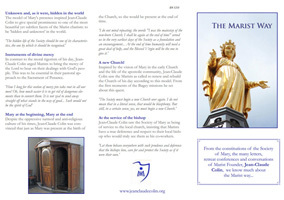 Go to the Marist Messenger web site. An international group of junior professed Marist Sisters is ending their five-week renewal program in the first week of January. 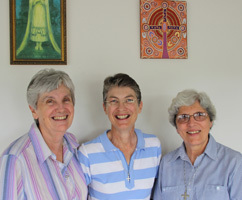 The Sisters come from eight countries and have spent most of December at Winbourne Park, Mulgoa, NSW, under the guidance of Srs Vivenne Goldstein, Kate McPhee and Grace Ellul (pictured below). The Sisters took time out on New Year's Eve to take in Sydney's fireworks display. 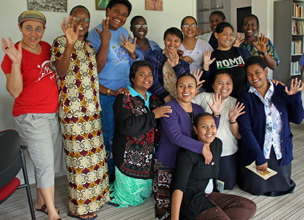 Above, standing, from left: Sisters Sueli (Brasil), Valeria (Benin), Birisita (Fiji), Antoinette (Gambia), Edna (Philippines), Stephanie (Fiji), Celina (PNG-Australia), Lilibette (Philippines) and Anna (Senegal). Kneeling, in front: Sisters Titilia (Fiji), Nayeli (Mexico), April (Philippines), Val (Fiji) and Catherine (PNG-Australia). www.maristfathers.org.au received a record number of visits during the past year. Daily visits averaged 450, peaking near the 2,000 mark on odd days throughout the year and opening an average of seven pages per visit. Combined 'hits' for the 2013 totalled just over four million. After Australia, top visiting countries were New Zealand, Italy, Ukraine, Japan, Germany, Thailand, Fiji and Brazil. About 100 countries were represented in visits each month.